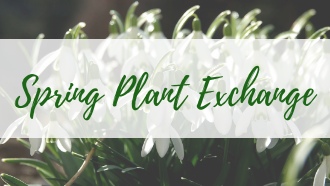 This is the time for you to divide and share extra perennials, bushes, or even extra annuals with fellow plant lovers. Herbs and vegetables are welcome. Feel free to bring your extra seeds and exchange them at our Seed Exchange station in the library. Local Master Gardener Ann McPeek will help with questions and planting advice. * Label the containers as to type of plant, color, and sun specifications. * If you bring a plant that is a rapid spreader, warn the recipients so they are able to plant it with caution. * Please do not bring plants that have disease or insect problems. No registration is required. For more information, contact the library at 330-683-1065.